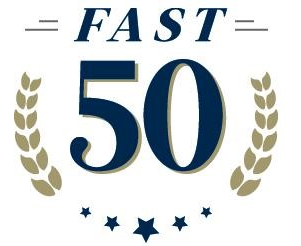 Nuventra Pharma Sciences, a specialized drug development consulting company, announces that it has been ranked as a part of the Triangle Business Journal’s Fast 50 List honoring the 50 fastest growing privately held companies in the Triangle area. This honor follows four years of significant growth for the company. This is the second consecutive year that Nuventra has been ranked as a Fast 50 company. The Fast 50 winners were selected and ranked based on a formula that counts revenue growth and profitability in the preceding three years (2014 – 2016). “We’re thrilled to be on this list for the second year in a row as we continue our strategic growth. Our 2018 plans include the continued growth of our team and the expansion of our headquarters here in the Triangle” says Geoffrey C. Banks, Ph.D., Nuventra’s President and CEO.